Hire the top 3% of interim CFOs. Toptal is a marketplace for top interim, part-time, and temporary Chief Financial Officers. 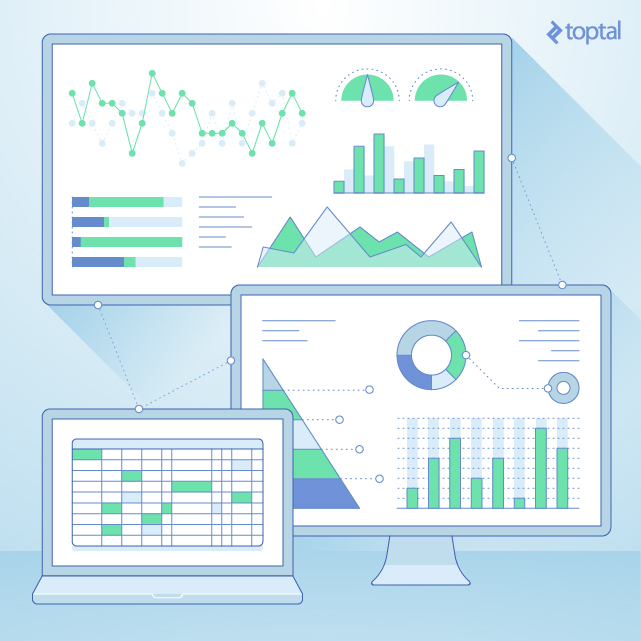 Top companies and start-ups hire freelance CFOs from Toptal for their mission critical projects. Toptal is a marketplace for top interim CFOs. Top companies and start-ups choose Toptal finance experts for their mission-critical finance projects. Steve is an experienced financial executive and consultant with a broad range of experience ranging from deep dive financial analysis to M&A and valuation work. He has experience as a CFO, private equity investor, and investment banker. Steve has worked with over fifty companies on preparing business plans and offering memorandums and financial models, and has helped finance early and late stage companies, real estate, and other assets. For many companies, there comes a time when in-house talent is no longer experienced enough to successfully handle the financial challenge at hand. However, this does not mean it is the right time, or it is not cost-effective, to hire a full-time, permanent CFO. In these cases, interim CFOs provide been-there-done-that experience in doses that your burn rate can handle. As with any senior-level hire, finding the right person is critical. The interim CFO must be eager and capable of fulfilling the vision of the CEO and the company’s investors. What makes hiring an interim CFO particularly challenging though, is that the circumstances creating the need for the hire often imply that time is of the essence. Therefore, it’s even more important than usual to hire someone who is capable of quickly accessing the company’s situation, building key relationships and effecting change. In this hiring guide, we will address how to identify the right person for the role and create the best environment for a successful interim CFO engagement. Before we start, we lay out below some of the most common reasons for retaining an interim CFO, alongside case studies to provide some insights into how they can help. Interim CFOs are often brought in to handle corporate transitions such as a change in ownership of the company, which sometimes prompts a change in senior management, or an acquisition of another company, which requires additional resources to ensure a smooth integration. Sometimes the transition at hand may be caused by the sudden departure of the current CFO, creating an immediate staffing need. Case Study: Outdoor Leisure, an outdoor furniture manufacturing company, needs help integrating a recent acquisition of Lollypop Fabrics into its business. Lollypop has been running its business on a cash basis using a simple accounting software platform, whereas Outdoor Leisure’s business is run on an accrual basis using a sophisticated, closed-loop ERP system. Lollypop will continue to operate out of its current headquarters, but its people and systems need to be integrated into Outdoor Leisure’s business by year-end. What would the ideal interim CFO for this situation look like? A strong technical accounting background with prior experience integrating small acquisitions into larger organizations. Familiarity with both accounting software systems. Understanding of the tax and accounting implications of the transaction in order to form their own opinion as well as effectively leverage outside accounting advisors. Ability to clearly communicate with the Lollypop team to incorporate policies and procedures to effectively work together going forward. A CPA designation is a must, with a career presence at one of the Big Four or equivalent accounting firm desirable. Interim CFOs are also often brought in to help companies prepare for strategic events such as a fundraising round or an exit. This type of event creates a need for a senior-level financial person to help navigate the process as well as make sure that the company’s financials and business operations are at high-enough standard to meet the due diligence and compliance requirements of the investor or acquirer. Case Study: CatToys.com has experienced rapid growth and its co-founders would like to explore strategic alternatives such as a sale to a strategic buyer or an investment. The business has survived with a diligent bookkeeper to-date, but given the focus on growth, the co-founders have not had a lot of time to focus on the company’s financial reporting. However, they know that in order to get the best valuation, they need to clean up their financial and business operations and are looking for an interim CFO to do just that. Understand diligence requirements of all parties involved. Ensure that all documentation is in good shape (corporate documents, historical financials, etc.) well before they are presented to outside parties. Build a financial model and support valuation discussions. The above requires familiarity with this industry’s particular competitive landscape and dynamics. The right candidate will likely have a finance background and experience working on Wall Street or in corporate development. Interim CFOs are also beneficial to startups or established companies experiencing high-growth phases that need senior-level financial advice, but may not be able to afford a senior-level hire. In these cases, the finance person may be referred to as a part-time CFO or a fractional CFO since the company is receiving senior-level experience at a fraction of the price of a full-time CFO. Case Study: Star Pajamas is a young company that saw early success after a celebrity was sighted wearing their signature pajama set at Starbucks. Online sales surged, which has created out-of-stocks on some of its most popular items. The founder would love to ride this momentum to expand her product line, but is unsure of how much she can really afford to invest in manufacturing next season’s line. She has been approached by lenders willing to provide her a line of credit against the inventory, but their rates seem exorbitant. She is looking for an interim CFO to help her weigh different options. Recommend trusted banks and lenders. Evaluate the cost of financing the inventory versus using cash on hand. Implement new systems and appropriate levels of process to ensure the founder has access to up-to-date and accurate financial information. Train existing staff or recruit mid-level financial talent to ensure these implementations are carried forward. Ironically, in these situations, an excellent interim CFO may actually perform themselves out of a job by enabling an environment that allows less experienced accounting and finance professionals to successfully run with the systems that are put in place. This interim CFO will have experience working with high-growth companies and is an excellent jack-of-all-trades. Finally, interim CFOs are often brought in when companies simply need more firepower to provide business analysis and improve core operations. Interim CFOs can provide fresh perspectives as well as the expertise to upgrade systems and accounting and reporting processes. Experienced interim CFOs are also adept at professionalizing finance and accounting teams, both through recruiting new hires and mentoring existing employees. Case Study: After a major acquisition that distracted the senior management team and a loss of their CFO to illness, Brooklyn Vitamins’ operating profits have significantly declined. It has also breached a covenant on its critical bank facility, and its auditors have voiced concerns over internal controls. After investigating its prior quarterly expenses, it determined that far too many employees are empowered to engage outside vendors and spending has grown out of control. In addition to addressing these issues, the interim CFO is needed to help the management team recruit an appropriate permanent CFO. Implement controls to limit purchasing approval to department heads. Implement a new vendor approval process. Develop comprehensive reporting and budgeting tools to improve management reporting. Improve integrated closing process to provide timely results. Negotiate with lenders to ensure that its line of credit can remain in place. Use their knowledge of the company’s needs to find and ensure a smooth transition to the new CFO. While the examples above chart a number of different ways in which an interim CFO can prove to be useful, companies in a transition or in high-growth mode may know they need financial help, but not exactly what type of financial help they need. The men or women in these roles may carry the same title, but their expertise and experiences will vary widely. In these cases, step back, and ask yourself about the most important thing an interim CFO needs to address at your company. Look for someone that has handled that type of situation in the past. Then dig deeper and ask yourself if their experience is applicable to the industry you are operating in, or to your company’s lifecycle stage. If you are looking for technical expertise, ask the candidate if they would be willing to speak to your tax or audit firm. Those existing partners will understand exactly which questions to ask to ensure that you are on-boarding a person with the appropriate expertise for your organization. Your tax advisor may put the candidate through their paces on GAAP reporting requirements, SOX compliance, or implementing internal controls. If strategic finance expertise is needed, quiz the candidate about their track record on raising capital or negotiating successful exits, and how they’d position your company for a successful event. Scratching the surface is not enough, you should dig deep into the process they’d propose implementing at your company to ensure that they’re willing and able to not only handle the discussions, but the tedious accounting and legal work required to be fully prepared for an exit. If seeking specifically operational expertise, the expert should be able to provide examples of key process improvements that saved time and money at prior companies without requiring a major investment. Examples of this would be steps they have already implemented to improve the cash conversion cycle or processes put in place to shorten the monthly accounting close. While hard skillsets may vary widely, the professional and leadership skills required to be a successful interim CFO are much more consistent from role to role. World-class interim CFOs are not just pro-active in assessing a company’s situation and zeroing in on the right plan but also able to clearly explain their rationale for the prioritization. For example, when time is critical, or there are not enough resources to tackle every issue, the interim CFO should focus on those aspects that are immediately pertinent to the company, while highlighting outstanding areas that need to be addressed by the permanent CFO in the future. They are capable and willing to roll-up their sleeves to get the job done. But at the same time, they must be able to guide and mentor both senior and junior-level employees in your organization so that their work will add value beyond their tenure. Furthermore, world-class interim CFOs are capable of adding value across all operational aspects of your company. Beyond their initial scope of operation, they can often provide valuable opinions on topics such as marketing budgets, logistic operations, supplier contracts and staffing plans. Interim CFOs should be able to offer recommendations and introductions to legal firms, audit firms, banker, lenders, insurance brokers, outsourced HR providers, and recruiters. Any strong candidate is likely to be familiar with many different types of software and can provide opinions not only on accounting systems, but also business intelligence tools and team communication apps. Naturally, this also serves them well when coming into a new organization, where quickly building up good working relationships with key stakeholders is a must. First and foremost, does the candidate have prior experience in interim or consulting roles? Were those roles with a company at the same stage and structure as yours (e.g. a startup or a PE-backed company)? Interim assignments are not the time to train employees. If the candidate can’t check all of the boxes, that does not necessarily mean they can’t handle the role, but ask them why they believe their prior experience will allow them to quickly be successful in this role. Ask the interim CFO how they prioritize responsibilities when there is not enough time in the day. Are they able to convince you that they not only get the important task done and stay calm in a stressful situation, but they can keep their teams calm as well? Quiz them on who their favorite people are to work with, especially in the area you are looking to help. A strong interim CFO will be able to offer up a number of professional recommendations for external service providers your company can bring in, or even full-time hires. The failure to do so may be a red flag that they have been nurturing these types of relationships in the past. Once you have found the ideal candidate, spending the time to adequately on-board them greatly enhances the chances of a positive experience and a successful engagement. An interim CFO is a particular position as they must be given the room to make decisions while also preparing the role for a permanent hire in the future. New people in an organization, especially finance people, can be unsettling. Nervous employees may start wondering if a round of cost-cutting is nigh or if their jobs are at risk in a company sale. To whatever degree you can provide transparency, let your broader team know why the interim CFO is getting involved in the company. This not only creates a better environment for the CFO, it helps limit distractions. As with any new senior-level hire, the on-boarding process should involve meetings with key employees to gain a broader overview of the company and become familiar with decision-makers. In addition, the interim CFO will need access to financial systems and corporate documentation and potentially introductions and meetings with key advisors such as your investors, bankers, and audit firm. Many experienced interim CFOs will provide you a roadmap for the first few weeks of the assignment. If not, don’t be afraid to ask for one. While time and circumstances may veer you and the interim CFO off of the original path, a good game plan will ensure that you start off with similar expectations about deliverables, expected results, and timing. The importance and impact of interim positions may be looked over due to the limited time with your organization. That would be a critical position. Finding the right interim CFO may increase your runway, get you closer to an exit and lay the groundwork for the right full-time CFO to come. Trust us, the best ones will leave a positive impact long after they’ve moved on.